With its quieter pace, Whistler Creekside is the distraction-free alternative for hosting events where audience focus is the priority. Whether it's an evening's seminar, a weekend staff retreat or multi-day public event, Lodging Ovations is there to help ensure a seamless group gathering in Whistler. Lodging Ovations offers more than 2,200 sq ft of flexible meeting space in Legends, conveniently located between First Tracks Lodge and Evolution. Legends offers impressive 17-foot ceilings and can be split to create two rooms or used as one large space. The space can accommodate up to 160 people, depending on room configuration, including boardroom, classroom, theatre, or reception hall. There's more to a successful event or meeting than getting people into a room - all systems need to be a go, from the sound to the catering. Poor production can ruin an otherwise great gathering. Lodging Ovations can help you take care of the details of your Whistler meeting, so you can focus on the bigger picture. Getting the computer to work with the projector as well as maintaining clear sound at the back of the room can be a difficult task. Event and meeting organizers can mitigate these common problems by holding their meeting or event in Whistler Creekside. Lodging Ovations works with Sharp's Audio Visual, offering a complete range of innovative audio visual solutions. They can assist with the development of venue systems, a system that work within your budget, from basic sound and video to staging and lighting design. Lodging Ovations offers a few simple things to make any presentation easier, including: two large projection screens, an LCD projector, flip charts, and high-speed Wi-Fi access. What is an essential part of almost every staff retreat? Team building! Well, you're in luck because there are plenty of team building activities in Whistler. Participate in your own Amazing Race and fly over the treetops on a zipline or go on a snowmobiling trip and a snowshoe hike. Or for something to do indoors there are lots of very interesting culinary activities like a "Black Box Wine Challenge" that can be easily hosted in the kitchens in our hotel suites. Whistler has an incredible amount of activities but Lodging Ovations can help you set up an adventure that will have everyone wanting more. Whistler Creekside has plenty of great dining choices for group dining within walking distance of Evolution, Legends and First Tracks Lodge. After a full day of meetings or conferences, it can be nice to get a little leg stretch in before sitting down for supper. 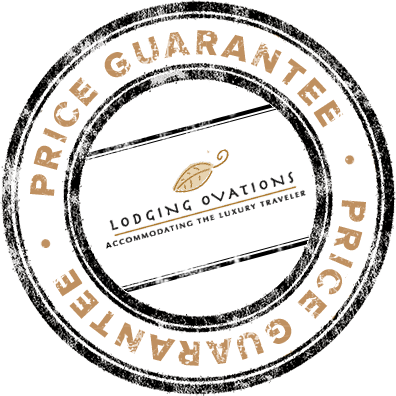 The dedicated staff at Lodging Ovations dedicated can assist you in finding the best choice of restaurant for you and your group. Lodging Ovations has your catering needs covered. We've established close relationships with Whistler Cooks and Whistler Blackcomb Catering, two of Whistler's premier catering services. Seeking a continental breakfast in the morning? Or maybe a five-star meal? We at Lodging Ovations can help coordinate your catering needs while you're busy with the real business.